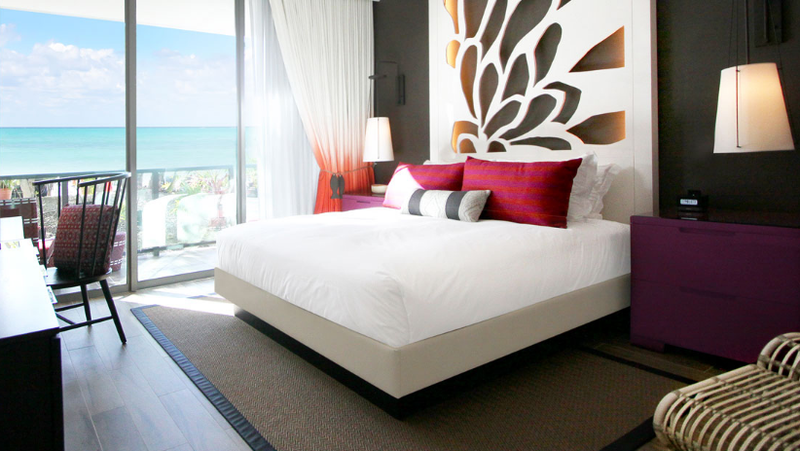 The Kimpton Seafire Resort & Spa has been long awaited by Kimpton fans. It’s their first resort in the Caribbean, and it is absolutely beautiful! Kimpton Inner Circle can start booking their free night now for this Cayman Island resort. Click here for our list of the best resorts on Grand Cayman where you can redeem miles and points. More free nights coming soon from Kimpton! But what if I’m not Kimpton Inner Circle? The Kimpton Seafire Resort & Spa is located in the West Bay section of the Cayman Islands, overlooking Seven Mile Beach. The resort is located at 60 Tanager Way, Grand Cayman, Cayman Islands KY1-9008. The Cayman Islands are due south from Florida, on the other side of Cuba. The Seafire property runs along 500 feet of Seven Mile Beach, which was named the “best beach in the world” by U.S. News and World Report. This resort has a variety of room choices to select from. All 266 guest rooms have private balconies to soak up the Caribbean breezes. And most of the rooms have views of the Grand Cayman’s clear cyan waters. The smallest rooms are 441 sq ft, while the largest rooms that are 1- and 2-bedroom suites are as large as 2,372 square feet! And each room has floor-to-ceiling windows to catch every ounce of the warm Caribbean sun. The Seafire Resort & Spa opened as a Kimpton property in November 2016. (Hat tip to reader CaymanGirl who corrected me that the Seafire was not previously the Grand Cayman Beach Suites.) Use our referral link to check out TripAdvisor to find the best deal, compare prices, and read what other travelers have to say. There are 3 on-site restaurants at the Seafire Resort & Spa, each with their own unique spin. Unfortunately, with the Inner Circle free night, there is not the usual $50 dining credit when staying with your free night. Inner Circle members also receive a Chef’s Taste whenever they stay with Kimpton and eat at the hotel’s restaurant. In the past, we’ve received some delicious appetizers like Ahi Poke at Zimzala or a plate of Sushi at Brandon’s. This is Seafire’s primary restaurant that “invites you to experience fresh local seafood and island produce infused into coastal Mediterranean recipes.” The restaurant focuses on small plates with its open and airy setting. It is open for breakfast, lunch, dinner, and late night bar hours. Avecita is a signature dinner-only restaurant, nestled within Ave. It features a Spanish tapas-inspired menu with seating for 9 at the chef’s bar and 3 communal tables with room for 30 more. This setting is definitely a unique experience that a limited few will get to enjoy. The menu at Coccoloba is similar to what you’ll find on a Mexican street taco cart, but instead of a busy street in Tijuana, Mexico, you’re sitting on the beach in the Cayman Islands. There’s a creative menu with happy hour prices and ocean views so beautiful, you’ll never want to go home. All Kimpton Inner Circle members are offered a window of time, shortly after a new hotel opens, in which they can stay at the new property for free. I’ve used this benefit numerous times, including The Goodland near Santa Barbara, The Palladian in Seattle, The Shorebreak in Huntington Beach, and Hotel Tomo in San Francisco. We recently used this benefit at The Kimpton Tideline Ocean Resort & Spa, where we had a great experience over Labor Day Weekend. The Kimpton Seafire Resort & Spa free night benefit is available through April 30, 2017. I booked my free night as an Inner Circle member and paired it with a couple of free nights that I earned from other stays. The Cayman Islands is too long of a flight from Southern California and is far too beautiful to stay for only a couple of days. Space is limited for these benefits, so don’t delay in reserving your free room. Unfortunately, you cannot make these reservations online. Call the Inner Circle VIP Reservation line at 866-424-7667 to book your room. I love staying at Kimpton properties, especially when they’re free! I’ll definitely be taking advantage of as many of these as I can! Kimpton Inner Circle is earned by having 14 eligible stays or 40 eligible nights within a calendar year. Kimpton often runs promotions where you receive double credit for stays, so you can become Inner Circle in as little as 7 different stays! I’ve been able to get 3 free nights after 10 one-night stays with Kimpton’s lucrative loyalty program. Read here to see how I did it. I became an Inner Circle member through a status match as a Hilton Diamond. With a status match, you need to stay a specific number of nights before you are eligible for the new hotel free night benefit. From what I understand, Kimpton is no longer offering status matches effective January 1, 2016, but it doesn’t hurt to try. After some awesome vacations in Puerto Rico, St Maarten, and St Thomas, I’ve had some great adventures in the Caribbean, so I’m really excited to take Timmy on an awesome vacation courtesy of free nights from Kimpton. 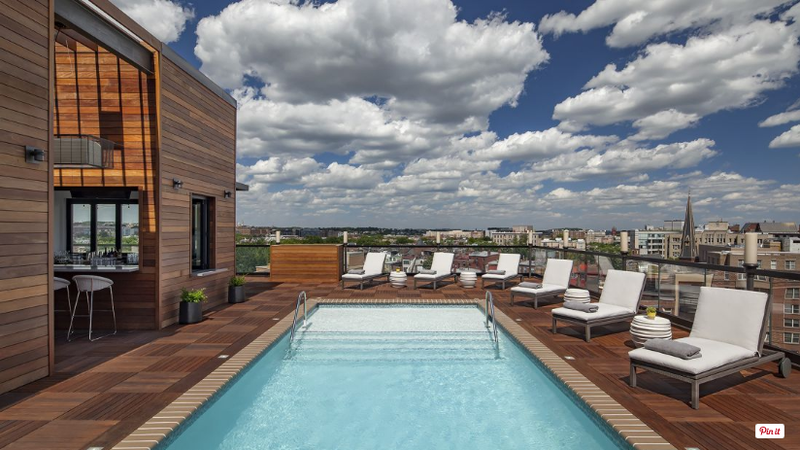 Kimpton is very generous when rewarding its best customers with such great benefits. If you have top-tier Inner Circle status, you have an opportunity to stay at new properties for free shortly after they open. The Kimpton Seafire Resort & Spa free night benefit is available until April 2017, so call to book your reservation now. If you aren’t a Kimpton Karma member, I encourage you to research the program to see how it fits into your travel plans. Thanks for the clarification CaymanGirl. I appreciate it. If you want to meet up while Timmy and I are in town, I will buy you a drink.